Have I got a sweet giveaway for you today! Let me tell you, my kitchen counters are looking a whole lot snazzier adorned with these products. In fact, you may need to clear off your counters and make some room as well, because ONE reader is going to win everything you see here! For real. One lucky reader is going to win all of it – yes, I’m talking about all 5 gift items in the basket – because it’s our first Simple Bites basket giveaway! We’re not the only ones having a giveaway today, though. Yessiree, all the other channels on the Simple Living Media community are hosting their own giveaways to celebrate our network launch. So head on over and don’t miss out on your chance to win exceptional products from Simple Mom, Simple Kids, Simple Homeschool and Simple Organic. You’ve heard of a Mom ‘n Pop Shop? Well, I’m delighted to introduce I Heart Vanilla, a Pop ‘n Daughter team committed to deliver only the best quality vanilla beans to kitchens around the world. Their vanilla beans are handpicked from the pristine soils of Papua New Guinea and Indonesia and are sorted for quality so as to deliver only the very best. Their stellar products include plump and aromatic vanilla beans and vanilla powder, a brand new product. 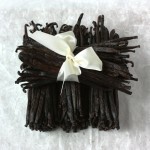 The vanilla powder is just that; pure vanilla beans ground to a powder with no additives like sugar or fillers! Based in both Montreal and Kuala Lumpur, you’ll be happy to know that I Heart Vanilla ships their exceptional products worldwide. I already use vanilla beans in cakes, custards, cookies, ice creams—and in pretty much any recipe that calls for vanilla and am looking forward to trying out the powder. 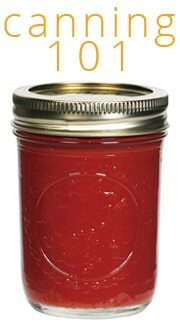 I have a feeling that it will be very carefully guarded in my pantry as a great replacement for vanilla extract as it does not evaporate, does not contain alcohol and as a bonus, it’s gluten free! 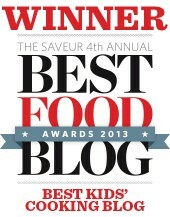 The winner will receive a 25 bean bundle of Bourbon Vanilla beans PLUS a sample of pure vanilla powder. 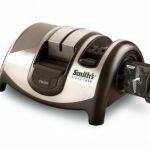 As the leading creator of quality knife sharpeners, no company is more qualified in the area of edgeware than Smith’s . This is a company that started out small back in 1886 (!) but thanks to their consistent quality products they are now the market leader in the knife and scissor sharpening category. Smith’s Diamond Edge Gourmet Electric Knife and Scissors Sharpener was elected as a finalist in the Food Preparation category of the 2009 Housewares Design Awards! This sharpener is for anyone who sets foot in the kitchen, be they novice or professional. Ask anyone who knows me well what my pet peeve is and they will tell you “DULL KNIVES”. It’s true. A dull knife is unproductive and downright annoying. Fortunately, with this thoroughly modern and efficient electric sharpener, your knives can always be just as sharp as Jamie Oliver’s! The winner will receive one Diamond Edge Gourmet Electric Knife and Scissors Sharpener. Twenty-seven food bloggers from around the world responded quickly to the need for food and aid in Haiti following the January 12th earthquake by compiling a cookbook. This project, spearheaded by the talented and driven Julie Van Rosendaal, is quite possibly the fastest concept-to-publication book in history (3 weeks). 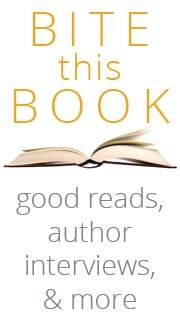 All the proceeds of book sales will support Haitian relief via the Red Cross and Doctors without Borders. 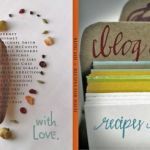 Each writer has contributed their own recipes and photos for a total of 72 recipes, and local graphic designer Cathryn Ironside has spent hundreds of hours putting the book together into a stunning layout. The book is 7”x7”, 110 pages and full color with a soft-cover ($25) as well as a hard-cover ($50) option. Books are available for online purchase at www.blogaid.org and through each participating weblog. You can read more about the cookbook and my humble participation with the project HERE. 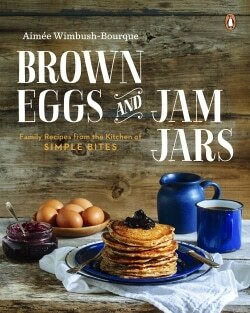 The winner will receive one hardcover copy of Blog Aid: Recipes for Haiti. The Canterbury Naturals line of specialty baking and soup mixes features all natural ingredients, and contains no trans fats, hydrogenated oils, colorings or preservatives. Their product lines offer home-style recipe tradition with products that are easy and fun to prepare, not to mention wholesome and delicious! 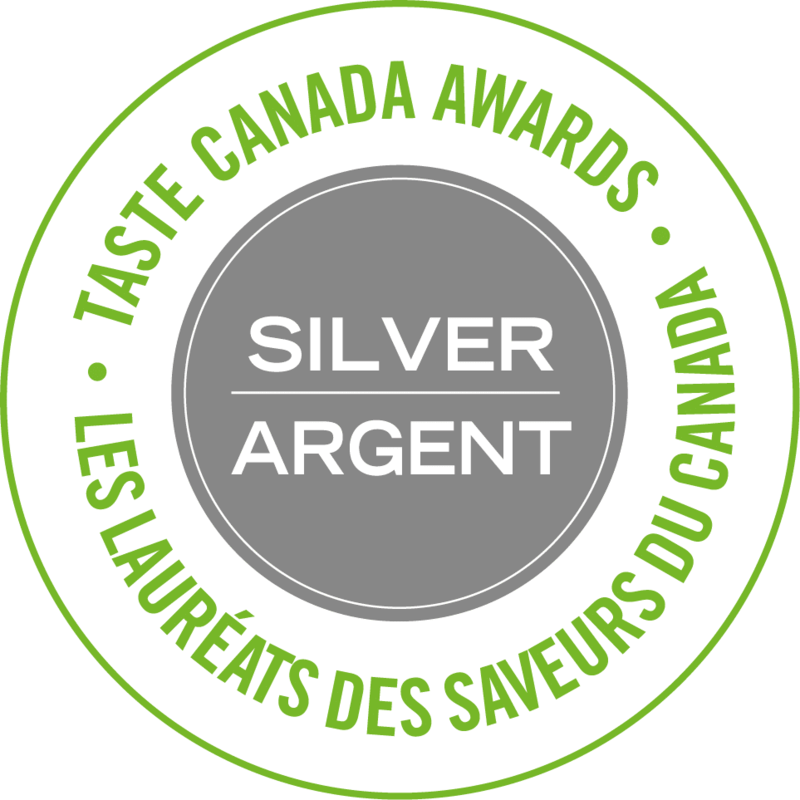 The Canterbury brand has become known as a leader of simple, upscale and affordable gourmet foods for everyday cooking, special occasions and gift giving. Not everyone likes to bake or cook, but we all love to eat. 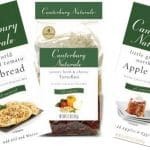 With Canterbury Naturals, family favorites such as Little Grandma’s Northwest Apple Cake or Sundried Tomato Flat Bread are so simple to prepare, they entice even the most reluctant individual into the kitchen. I’ll meet you there! 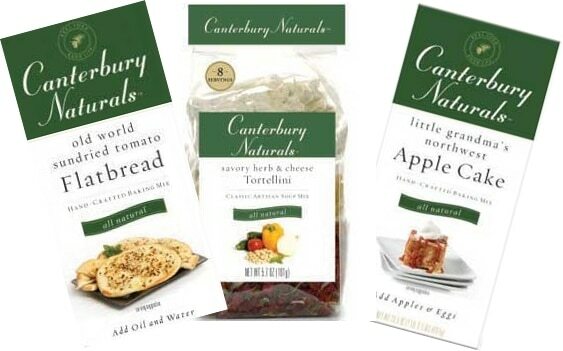 Winner will receive one of each of the following Canterbury Naturals products: Savory Herb & Cheese Tortellini Soup, Old World Sundried Tomato Flat Bread, and Northwest Apple Cake Mix. 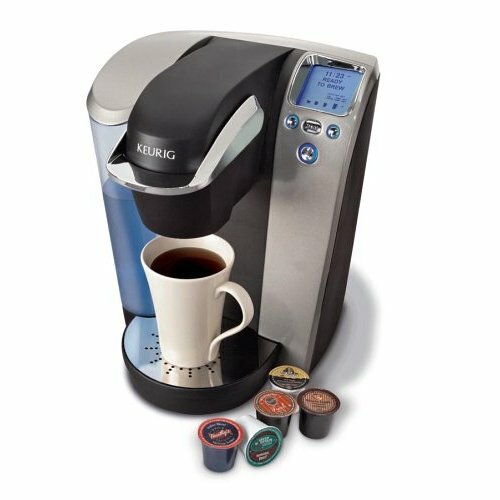 Keurig is the leading single-cup brewing system in North America. It was founded by coffee lovers who believed that coffee should always be served fresh, whether at home or at the office, just as in a gourmet coffee house. As a busy mom of two, I don’t get out to my favorite coffee shop (old stomping grounds) nearly often enough, but coffee at home is just as good now thanks to Keurig. Essential for young mothers! Also ideal for entertaining, the Keurig Platinum Single Serve Brewer brews a fresh cup of gourmet coffee, tea, or cocoa in less than a minute. Its patented one-touch technology provides precise control over brewing, and there’s no messy grinding or clean up. Forget hitting up the local drive-through café on your usual morning rush; now with one-touch technology, you can have your morning brew at the push of a button thanks to the Keurig Platinum Single Serve Brewer KUB70! The winner will receive a Keurig Platinum Single Serve Brewer KUB70 . Everyone has three chances to win. Choose one or all three! 2. 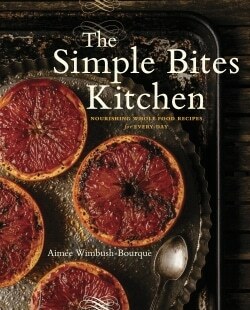 Subscribe to Simple Bites by email or in your feed reader. Leave a separate comment letting me know you’re subscribed. 3. Blog about this giveaway. 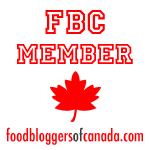 Leave a separate comment with your blog or post address. This giveaway will end this Saturday, February 13 at 11:59 p.m. CST. I hope you win! Be sure to check out the giveaway baskets on Simple Mom, Simple Kids, Simple Homeschool and Simple Organic for more chances to win! I’ve subscribed in Google Reader – I don’t want to forget to come back! Thanks! I’m probably too late to participate in te giveaway, but I would love more info in the bakeshop and preserving sections. Keep up the great work! !